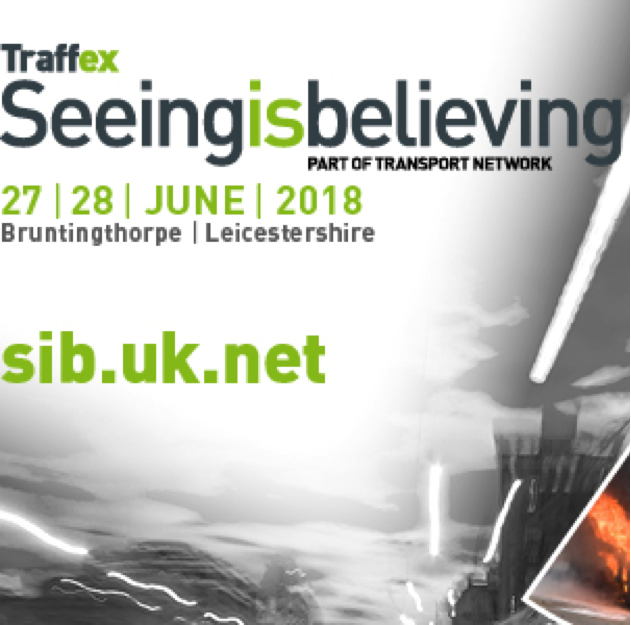 Technology to boost the safety of road users will be among the biggest demonstration highlights of next week’s Traffex Seeing is Believing event at Bruntingthorpe in Leicestershire. The two day inside-outside exhibition and conference includes a series of demonstrations on the former airfield demonstration area. The test track is used by Highways England as its test facility featuring a stretch of road laid out to motorway specification. Safety Cam is an innovative dual camera system which can spot both road workers speeding through construction sites and road users who illegally drive through cones. It is currently being extensively tested across motorways and main A roads managed by Highways England. In the first trials, in the West Midlands, a 50% month-on-month reduction was recorded in road workers driving 10mph above the signed limit through sites. And in Essex the number of roadworks incursions reduced by more than 80%. A new-style police camera will be on UK roads later this year. LASERcam 4, a mobile speed enforcement camera from Truvelo, combines class-leading laser speedmeter capabilities with high quality video to address a series of driving and criminal offences. LASERcam 4 delivers performance levels exceeding those previously only seen in bulky tripod-mounted equipment. Additionally, years of intensive development have seen advances in video technology, processing speed, laser performance, and reduced power requirements which are all combined for the first time in LASERcam 4. Demonstrations of LASERcam 4 will take place at the track side throughout Traffex Seeing Is Believing. “Smart” road studs are wireless, sensory, and provide real-time, high resolution information about everything that takes place on the road. This information is used to detect risks, prevent accidents, optimise intersections, automate traffic control centres, and support connected & autonomous vehicles. As well as this there are crash demonstrations of passive and non-passive lighting poles showing the effects of crashing into a traditional, rigid lamp-post at high speed versus the same crash into a “passive” lamp-post, as well as a low-speed urban crash into a lightweight aluminium signpost. Hinged lamp-post not only fold on impact, but are easier and safer to maintain. Following the demonstrations, visitors are invited to see for themselves the effects of each impact and the performance in each scenario. Even the run-up to the crash is dramatic: the crash car is remotely controlled and guided by a police-style ‘TPAC’ or Tactical Pursuit and Containment manoeuvre. Other innovations being demonstrated include solar powered CCTV cameras currently trialled on the M42 by the motorcycle museum near Birmingham; wearable technology to improve roadworker safety; a robot used to mark out parking bays; and a dot-matrix printer that can mark any image on to the road surface; Road Rake, an adaptation that gobbles up debris from crashes; Mobile Barrier providing exceptional protection for both road workers and motorists and reduces the severity of incidents in and around work zones; Roadmender which not only fixes roads first time in record time, but also makes use of recycled scrap road planings and WJ Guardian System, a bespoke, employee-inspired 18-tonne truck installs road studs. Highways England is using designated funding, of ring-fenced money from the Road Investment Strategy to support and encourage more innovation from the industry to reduce incidents involving road users and road workers, improve the infrastructure, support sustainable operation, boost new and emerging technology and improve how data and information is captured and processed. In addition to the highly visual outdoor demonstrations and indoor displays, there is a conference with a wide range of experts speaking. Highways England’s innovation and continuous improvement director, Paul Doney, will talk about a new initiative being launched at Traffex Seeing is Believing on 27 June. Kier, a key partner in the event and one of the leading providers of highways management and maintenance services on the UK road network, will outline how technology is driving change on the road network.